Guitar Play-Along Volume 21 Elvis Presley DVD download. 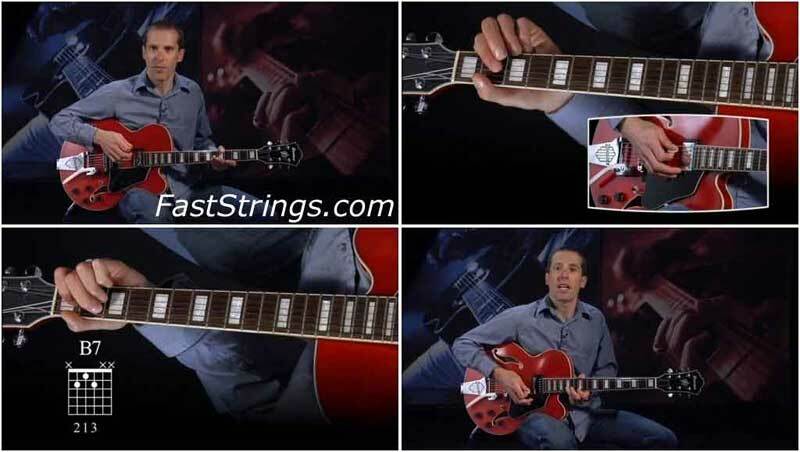 The Guitar Play Along DVD series lets you hear and see how to play songs like never before. Just watch, listen and learn! Each song starts with a lesson from a professional guitar teacher. Then, the teacher performs the complete song along with professionally recorded backing tracks. You can choose to turn the guitar off if you want to play along or leave the guitar in the mix to hear how it should sound. You can also choose from multiple viewing options; fret hand with tab, wide view with tab, pick & fret hand close-up, and others. The DVD does everything that it advertises, but the lessons are very short (maybe about 2 minutes for each song). If you have a lot of experience playing guitar, then you may like the quick lessons and then watching him play the song. For the beginning player, though, it’s not very helpful.